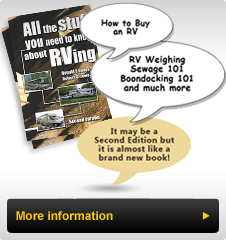 Notes And Updates: Bounder Classic RV's mentioned in this TechTip refer to the original Bounders from the beginning of production until 1989-1990. In 2009 Fleetwood RV (the successor company to Fleetwood Enterprises which produced Bounders up until 2007 or so) introduced the Bounder Classic which was designed to be a lower priced Bounder and looked more like the earlier Bounder models. Writing this Tip now I would call the orignal Bounder Classic the initial or original Bounder to provide clarity. Technical Tips 21 reviewed the location of fuses in the factory supplied fuse panels. In this the continuation of that article I will highlight some of the harder to find locations for crucial fuses, fusible links and signal flashers. The remaining fuses on your coach are somewhat harder to find. There is an inline fuse connected to the Heater/Air Conditioning fan motor that is only accessible after you remove the carpeted panel under the dash in front of the passenger seat. The Phillips head screws securing this panel are buried at the corners of the panel. Any accessory added to your Bounder, such as a CB or Ham radio or extra instruments usually have an inline fuse on the power line where it enters the unit. The water pump has a fuse in the harness near the pump. In addition to these fuses, the chassis makers utilize numerous fusible links in the wiring harnesses near the battery connections or near the starter solenoid. Most circuit breakers are in the areas of the fuse panels. The red or white center pins will pop out when blown and need only to be depressed to start supplying power once again. If this pin pops out again, check the affected circuit for an overload condition causing the problem. In all situations, replace the fuse with the correct properly rated fuse and never replace a fusible link with anything other than the proper replacement part. The conventional signal flasher is usually found on the firewall at the base of the steering column on the Ford and Freightliner (new) diesel chassis. It is located midway up the steering column under the trim panel on the Chevrolet chassis. For the original diesel Bounders built on the Oshkosh chassis, the signal flasher is often found under the hood attached to the back of the front crossmember in the center. These locations can (and do) vary and the flasher can be difficult to locate if you can not hear it click in operation. I recommend taking a little time to locate both your signal and hazard flashers prior to failure so you know where to find it, if it fails. On the Bounder Classic motorhomes most fuses are not centralized and they usually are visible in the wiring harnesses. There is no marking of what circuits they protect on these inline fuses, so it becomes a matter of trial and error to trace. As mentioned under the flashers section, it can be useful to remove one fuse at a time and determine what does not operate, then label the fuse holder with its application and/or make a chart with the location of the fuse, its size and what circuit it protects. Obviously it is good practice to keep an appropriate supply of fuses ready for the inevitable. Most Bounders use the newer color-coded fuses and a small assortment is handy to keep in the coach. If you find a fuse for a factory-installed system that is not in the areas mentioned in this article, please feel free to send me a note or e-mail so that we can keep up-to-date on these locations.